Shiva Garden's accommodations is unsurpassed, each one of the rooms has been crafted to render an awe inspiring experience. Our warm, comfortable and well appointed rooms await your arrival. 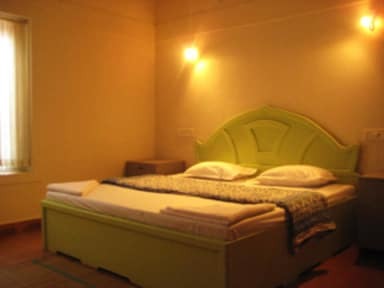 Our Twin bedded rooms have two enormous comfortable beds, and a private bathroom. And each room is properly and purposefully ventilated so that you won't loose even a little bit of the holiday mood in a beach resort. Our apartment room consist of a double bed, a living room and a kitchen(with essential utensils). 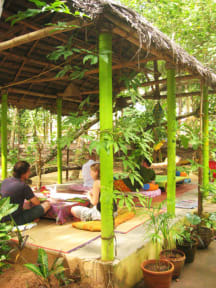 We also have a restaurant inside the premises providing typical Kerala food everyday. Our Guests can enjoy the famous Kerala THALI every day.